I have met several people (and more very recently) who have always had mediumistic abilities. You notice I did not say they were mediums. Because being a medium is very different that having the ability to be one. Example: Let me give you an example. Let’s say you have two neighbors. Marge and Susan are both six years old. They both love to stand on the stage and sing. (sometimes it sounds good, but usually not) Whenever Marge has a chance, she goes to the stage and sings. (sometimes it sounds good, but usually not) However, Susan starts going to other places to sing too, such as church events, birthday parties, school plays, etc. As Susan grows a little, she asks her parents to let her take singing lessons. She gets better, and begins to understand how to control her voice. Then she studies music in college and over many years becomes a vocal artist. Marge and Susan both had the ability to be singers. Susan studied and worked at it to control the ability and become the singer. Marge stayed where she was without ever growing. Developing mediumship requires time, hard work, study, and patience. There is nothing instant about developing mediumship. Intuition, psychic abilities, and mediumship are ongoing processes, requiring considerable practice and study. It does not manifest after a weekend intensive with certificate of completion. There is a certain integrity that comes after years of study and practice. 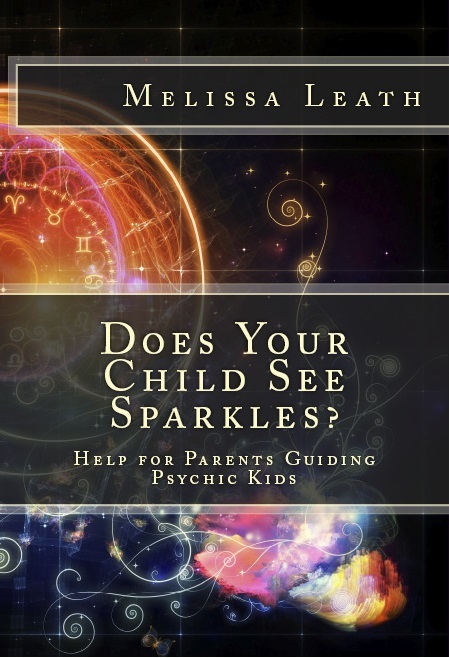 Connecting with your first spirit entities, or seeing and hearing spirits, as a young child is a good start. But this does not give you the ability to understand how to assist others in dealing with their problems in a consultation. You still do not know what to do if you connect with a lower entity. The responsibility is huge when it comes to this work. There are many experiences, scenarios and practices that will help to perfect your newfound ability. It’s important to work with a mentor or teacher to recognize what to do in certain situations you have not yet experienced. Even well-established mediums continue to study and be guided, consulting with their teachers on a regular basis. It’s important to learn and practice the techniques of presenting and delivering information you receive from spirit communication. Connecting with a deceased loved one is only the beginning of understanding the process. Don’t be too anxious to hang a reader’s sign on your door. Handling certain experiences should be learned in class, not with a live client. It takes fierce commitment to responsibly enter someone’s personal space. Mediumship does not happen overnight. It takes time to develop and time to understand the complexity of what is happening. Be ready to make a commitment to yourself to work on the gift for as long as it takes. Do not rely solely on an unfoldment (spirit) circle each week to develop your gifts. Study on your own. Read as much as you can to continue your spiritual growth. It has been said that there is no final completion to mediumship, but a constant learning and growing. So to develop into a strong medium, you must do like Susan did when she wanted to be a singer. She did everything she could to learn to control her voice and experience as much as possible. (You can find Part One by clicking here. The Creator Source (All That Is, God, or Universal Mind) creates all the other planes as a means of experience. The Celestial plane is where all creation starts, and represents pure potentiality. It has no form or reason, but wishes to express self. As Creator Source recognized the desire to manifest, it does so as a field of being, consciousness and energy. There is no awareness of time, space, or matter as we know it. Our original genetic blueprint is designed by the Creator Source and the celestial subtle body and first two DNA strands are created as part of the aura. 2. The Expressive Plane is the second plane of existence. It is the total expression of the desire to manifest. Still there is no time, space, or matter. Self creates a conscious conveyance for expression known as the expressive subtle body, including two more DNA strands. This is a primal, individual, spiritual being reflecting the whole of the universe within itself, known as an aspect of God. Self begins now to express in an external way. This allows for infinite possibilities of expression, and creation of forms that interact with each other. On our journey toward third dimension, the pure Creator Source creates reflections of itself, interacting and moving directly into the denser dimensions. Archangels, who work as attendants for the Creator Source, reside on the Expressive plane. This collective host of seven spirit beings is known as Dhyani-Chohan. The Dhyani-Chohan is considered the intelligent force that is the means for manifestation of divine, universal thought and will. Their main focus is to manage and assist with the expressions of the higher power known as Creator Source. This collective host of seven spirit beings is recognized by religious orders in different ways: Angelic Host in Christianity, and the Messengers of the Jewish faith. It is also known in Theosophy as “the gods” of Genesis who created Adam and Eve. 3. The Causal Plane is the third plane of existence. Self creates another subtle body (conveyance) to experience: the causal body. As a manner of recognizing self, the ego develops. This is also known as “individualization”. Two more DNA strands are created. At this point in the descent, an entity forms. This is generally known as “soul”. (Reference sources debate the timing of soul creation.) It is said that this entity could have as many as 1000 soul fragments in its makeup. Self can interact with the first two planes. 4. The Mental Plane is the fourth plane of existence. Self creates an extended vehicle known as the mental body, and two more DNA strands are formed. This is the central, neutral plane where relationship with others is explored. The higher planes (Celestial, Expressive, and Causal) project pure energy, love, and truth; the lower planes (Emotional, Etheric, and Physical) manifest these aspects. The Mental plane holds the balance between the other six. The Mental plane connects and interprets all the other planes within the Akasha Repository. The overall, collective knowledge of the universe is recorded here through record-keeping aspects of each plane that feed into it. 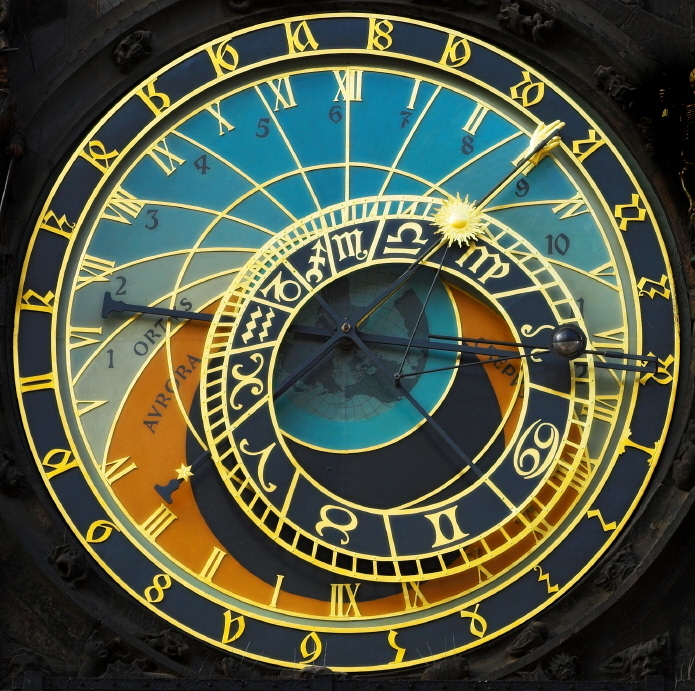 The Akashic Records are generated from everything that happens in the universe, as it occurs. These records show events exactly as they were experienced. It simply observes everything that has gone on within the universe from its origin to its outcome, as self moves through the planes of existence. The Mental plane acts as a mid-point buffer to assist the transition from the first three planes to the last three planes. I believe this is the energetic place or (“or space”) where the thoughts and intentions of self can transform or manifest into physical reality. 5. The Emotional Plane is the fifth plane of existence. Self still has a nonphysical vehicle or subtle body to move inter-dimensionally, interacting with other subtle energy bodies. In order to do this, the soul essence forms an over-soul, which is a large group or composite of soul personalities. These soul personalities interact with each other, and explore the world of form. Two more strands of DNA are created. Self is still unified with aspects of soul essence, soul, and over-soul, and still has creator consciousness. Ascended masters and other spiritually enlightened beings reside on this plane. In past incarnations they were ordinary humans who have undergone a process of spiritual transformation. Some of these beings are considered part of the spiritual hierarchy of Earth, and members of the Great Brotherhood of Light. Examples of the Brotherhood and the Ascended Masters are Lady Master Nada, Enoch, Maitreya, Saint Germain, Kuthumi, Gautama Buddha, Kwan Yin, Mary the Mother of Jesus, Jesus, Sanat Kumara, Lord Lanto (Confucius’ historical mentor), and Confucius. It is thought that these spiritually enlightened beings have united to further the spiritual wellbeing of humanity. They remain caretakers of the spiritual needs of humanity, and act to inspire and motivate our spiritual growth. Self creates an etheric subtle body, merges with the angelic kingdom, and creates infinite life forms in the physical realms, while it prepares for entry into the physical plane. The higher areas of the Etheric plane have finer vibratory rates. This is where guardian angels reside to be close to humankind. The Heavenly Mother/ Father concept also resides here. (As I understand it, this concept represents the god of Genesis and the story of creation.) Also in the Etheric plane are “the elementals” (sprites, elves, ogres, leprechauns, and fairies). Widespread belief among people concerning the elementals is from the recognition of the presence of these souls guarding and protecting the earth. They help the planet rejuvenate itself when needed. Animal totem spirits and many ancestors’ spirits also reside in the Etheric plane. Shamans can reach this place to work with the engagement with spirit, experience visions, and access power practices. Self is still unified with all other aspects of Creator Source accumulated from the descent to the Physical plane. At this point, self has twelve DNA strands collected and combined from all six planes of existence. They represent two strands from each plane that self traveled though (Celestial, Expressive, Causal, Mental, Emotional, and Etheric) on the way to the physical world. With these twelve strands, self was able to attune with and maneuver within all the planes. After the physical body dies, between lifetimes, our consciousness or astral body resides in the lower area of the Etheric. Within this Etheric plane, besides the guides and loved ones with whom we communicate, are also lower entities and energies. They want to stay connected in a physical way and are focused on causing confusion on the physical plane. It is also an area in which many lost spirits get “stuck,” between Earth and the electromagnetic grid/energy. Some are confused and do not know where they are, not able to ascend to the next level of consciousness. You might recognize these as ghosts, or discarnate spirits causing paranormal phenomena. It is necessary to be aware of these “negative” thought forms so you can avoid them. The fall. As self descends from Creator Source, there is no physical human body until “the fall,” which occurs between the Etheric and Physical planes. Self continues to move into more specific expression, it comes to the seventh (Physical) plane. This is where the third dimension exists. At the time of descent we fragment from the Creator Source, and experience ourselves as separate. Access to higher frequencies, soul essence, and over-soul are cut off. The angelic awareness separates from human expression, and a split within self is created. Angelic and elemental awareness maintain control of all autonomic functions, such as heartbeat, breathing, hormonal balance, etc. The physical body maintains the voluntary functions. Our DNA fragments too. Two strands from the Etheric plane “fall” into the Physical plane frequency and the other ten strands disconnect, or turn off from us. The collection of subtle bodies gather in wholeness (becomes one unit, working together) and the combined frequencies manifest as the human body. Even though we are still part of the other planes (represented by subtle bodies), we are not able to access them while in human form. Think of this like having a telephone with extensions in each plane of existence. But the phone service is disconnected. There is no way to communicate with the other planes. 7. The Physical Plane is the densest of the seven planes; where we (self) presently reside. Part of Theosophical teaching is that human beings have several bodies: physical, astral, mental, etc. that occupy the same space simultaneously. As self interacts with and connects all previous bodies, the human physical body experience is created. Full manifestation occurs in the physical, as we know it. Because we have only two active DNA strands (from the Etheric plane), at this time, our brain seems only to be able to access the “beta,” or waking, aspect of our humanness. We also have an additional 10 vibrational strands of DNA available to each human, which have been dormant since the beginning of history (when self became human). Each of these dormant strands hold qualities collected from each plane of existence. We’re still part of the Creator Source, but not able to connect with or realize it. This is what is called the “fall of man,” creating the sense of separation from Creator Source. The subtle bodies are like conveyances or vehicles used to maneuver between the different planes. They are like the cars that are in your garage (representing the physical body). After the “fall of man” the subtle bodies are conveyances that are no longer attached to the DNA. If you would imagine a subtle body as an automobile, consider the celestial subtle body as a Rolls Royce; the expressive subtle body as a Bentley; the causal subtle body as a Mercedes; the mental subtle body as a Cadillac; the emotional subtle body as a Buick. The only problem is that the cables are not connected to the batteries of any these vehicles. So it is impossible to drive around or experience those planes of existence. Self now experiences individuality. On the Physical plane, we experience separation in many ways. We descend into the belief system that we are separate from one another, from animals, from rocks, from plants, even from the Creator Source. This separation keeps us Earthbound. After the fall. The different parts of self that descended from the Celestial plane are still part of who we are. But we have moved our consciousness away from Creator Source into this Physical plane to experience third dimension. We are one with the Celestial plane of creation, all manifestations, and subtle bodies that grew from that beginning place. We are one with it all, but detached from it through our physical existence. You can understand why as a human, it is not possible to connect or commune with entities or energies residing in the higher planes, since we were cut off from them, literally stripped of the gear (DNA strands) that would have made it possible. In a very crude, but understandable analogy, I compare this disconnection to a baby still in the mother’s womb, without an umbilical cord. The baby is still part of the wholeness of the mother, but without any means of communication, is disconnected. Given the explanation of the planes of existence, it seems the only way to communicate with an entity such as an archangel from beyond the Causal plane would be if we bumped up our energies and frequencies. We would have to raise the energies to an unsustainable level, and possibly connect with a fraction or lesser element of the archangel. Not having use of the proper DNA to access those areas, we could not withstand a lengthy contact without exploding, or combusting in some way. An Etheric burnout would occur since the third-dimensional physical body is too heavy and dense to hold the finer frequency. Many people sincerely believe they are communing with archangels and other beings from the Expressive and Causal planes. However, the entities with which they are connecting could be masquerading as archangels. It is not possible to exist in the physical world and be controlled by a collective host of seven archangel beings. (Being under control is an essential part of spirit communication, including channeling.) These two entities cannot vibrate at the same frequency. I believe it is impossible to connect with an archangel or other highly evolved entities. There may be a connection to trickled down knowledge or funneled information relating to archangels. However, the vibrational mechanics don’t seem to allow for a direct connection with archangels. It is possible for good information to be shared. However, be very aware of what plane you are accessing. Only accept what you know and feel are appropriate spirit energies. You must question what you are receiving. The more you question the entities with whom you connect, the more information you will find out. Always ask direct questions and require them to give you truthful answers. Be sure you are connected with only the highest entities. The rest have nothing beneficial for you. It’s interesting how a medium opens up to receive information from a spirit entity. Mediumship is being aware of and dealing with subtle energies. The more you work with mediumship, the more your subtle energy fields (the etheric and emotional centers of the aura) open up to connect with a spirit entity. This is not the aura’s normal condition for most people. Those who do not engage in this type of work have very tightly connected subtle bodies, as they were designed to be. During the unfoldment process, mediums adjust their energy fields to accommodate the phenomenon of spirit communication. This can be done in a safe manner if taught over a period of time. I know, the process of connecting with subtle bodies sounds very strange. Mediums from the recent past (1800-1950) allowed their whole essence to be used by the spirits of those who passed over. They were willing to let the outside entity take full control of the body and aura. This proved to be very harmful to many mediums, when abused. Several things happened as a result of prolonged control. On a small scale, because the medium in question trusted the entity so much, control was allowed to take place on a regular basis. The medium’s faculties, or five senses, were lost. When you rely too much on an outside source, you lose your own ability to reason things out. Another result of allowing constant spirit control is that the physical body and emotional aspect of the medium is deteriorated. I saw it happen in my early years of study. Several mediums enjoyed the attention and financial gain of producing séances. They engaged the spirit entity much more than recommended, often giving two séances each day for two or three days in a row. The physical body cannot deal properly with this practice because it is not a physical event. So it requires some time to recuperate. Many mediums have developed early diabetes as a result of repeated use as an instrument of spirit control, or died at an early age. The medium’s emotional aspect is also in peril. The emotional body in the aura helps the development of the personality—the ability to deal with issues of the world in a normal manner. If the emotional body is constantly adjusted to accommodate communication with spirit, it shifts out of place, or becomes loose, resulting in an inability to deal emotionally in the physical world. There is speculation as to why some people become mentally unstable. Many mental patients think they are well known personalities, or they hear voices telling them to do upsetting things. Their subtle bodies may have become detached, making it difficult to deal with the physical world, and unwittingly open to the control of outside entities. Spirit communication is a viable tool dealing with grief. Mediumship can be used to verify life after death. Many people need to know that the spirit of their deceased relative is alright and in a good place. But we need to realize that the information coming from the spirit of a loved one is not necessarily highly evolved. How do I deal with the conditions I just described? I do not invite spirit entities to inhabit my body or being. When I am in a session with a client, I work through my spirit doctor (highly evolved spirit guide that is still in the higher astral realm). I have become familiar with this guide and consider him an aspect of myself. I work with the spirit energy of the client and subconsciously receive information for them. I may connect with impressions or ask my guides questions. If I am asked to connect with someone in particular, I go through my spirit doctor. That extension of me connects with the loved one in question and filters information down to me. My spirit doctor is able to eliminate any emotional or upsetting energy that might be associated with the spirit in question, allowing only pertinent information to come through. Once in awhile, I connect directly with a spirit entity for a short time and a specific purpose. When I do connect to a spirit entity without the benefit of the filter, believe me, it is very intense. I feel any emotional trauma or physical problem connected to that spirit. It’s as if I experience it myself, and the experience is very difficult to move away from. It is definitely not something I would enjoy doing on a regular basis. It is difficult to disconnect from the emotional trauma. I can see why this pulls energy from the medium, leaving a state of confusion. There has to be a period of readjustment. The information I’ve shared here concerning the different planes of existence is somewhat sketchy. I have taught it in my Spiritual Awakening Class for five weeks in a row, and have barely scratched the surface. There are many books and resources that delve into the levels of the spirit world. Many explanations are from different religions and cultural understandings using different words with different meanings, as well as different interpretations. So it can be confusing to sift through. The most important thing to remember is to be fully aware of the information you are receiving and how it feels. Discernment is everything. From early childhood, we are introduced to the term heaven. Normally, this happens when a close loved one dies and our parents try to explain about the passing of life. They really don’t know what it is or how to describe it. It usually ends up being described as a lovely place we all go when our bodies die. And Grandma is now an angel. 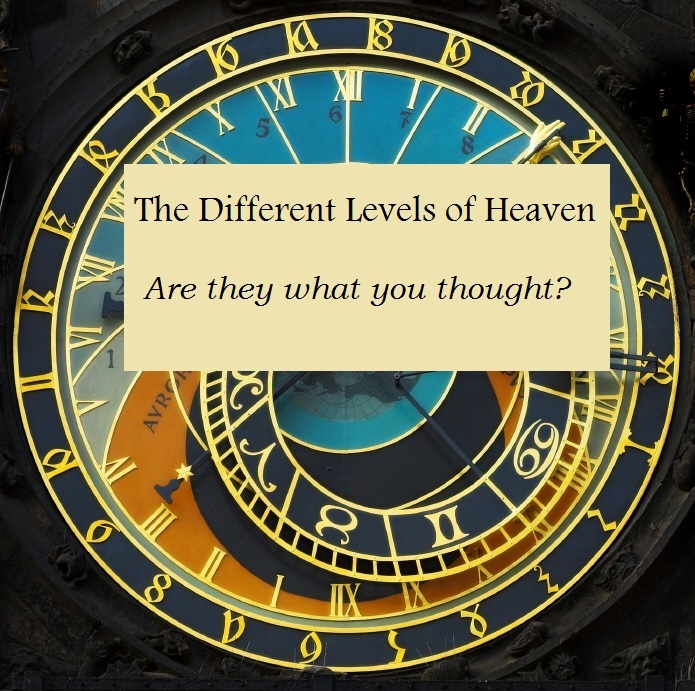 But over the years, we begin to believe that heaven, or the spirit world is the only higher existence besides the physical world, and all spirits in heaven are highly evolved beings. While discussing mediumship, psychic readers often talk about “the material world” versus “the spirit world”. These dualistic generalities are too limiting. They ignore the majority of layers that represent the many vibrations of spirit. The term spirit world is generally used to describe all frequencies, including that of loved ones who have died. We tend to think only of our grandparents in the spirit world. But the world of spirit is vast, and includes lower as well as higher entities. You may be aware of angels and spirit guides in the spirit realm of existence. There are also expanded planes (or other “heavens”). These planes have archangels and other highly evolved entities, out of reach to mere mortals. These levels are known as the Celestial, Expressive, Causal, Mental, and Emotional planes of existence. These planes do not need what we know as the “laws of physics”. Space and time do not exist outside of the third-dimensional physical world. Those of us in the physical body are the only ones who maneuver exclusively in the third dimension. We have little or no concept of what it would be like to live outside of these limitations. We are part of one huge, multidimensional cosmos made of things not of this world. Yet they are manifested here in the elements of solids, liquids, gases and the ethers, so that we may live and understand them with physical recognition. Our bodies are alive because they are temporarily inspirited within a time and space window. Our souls are eternally alive because they are eternally inspirited, part of the infinite existence of all. As our awareness of life expands with our experiences, we begin to see life as a whole: the wholeness of all of creation and interconnection with Creator Source. To understand how spirit communication works, it is first important to understand the different levels of spirit, which I call planes of existence. This is something that is rarely taught or even spoken of. 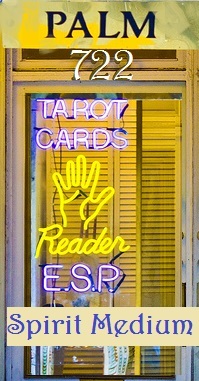 Some readers, whether they are psychics or mediums, may not have any concept of where they are getting their information. To these readers, especially if there was no instruction, spirit is spirit, and it must all be good. Not understanding the chain of command could be risky. There are many trickster spirits in other planes, who represent themselves as well-known Biblical personalities, historical figures, and even entertainers. These impersonators enjoy the deception. Some psychic readers really want to believe that they have connected with this or that popular entity, and ego takes over. One hosts the other and the charade continues. But the danger of connecting with a deceptive spirit is that this spirit may not have the true information being sought. So let’s get a better picture of how the layers of the spirit world can interact and how they cannot. As we discuss our spirit’s progression into the third dimensional world, it is important to recognize ourselves as spirit in human form. We actually descended into this third-dimensional human incarnation. Wanting to experience as much as possible, our spirit expanded into progressively denser frequencies, which became known to us as planes of existence. Each level became denser than the previous one, with denser forms to experience them. As we move farther from the Creator Source, the frequencies slow down, and are considered lower (and denser) than the original source. The subject is so vast (unlimited) that this chapter does not do it justice. However, I feel that the need to understand the concept in a simple manner is important to fully understand spirit communication. Thinking out of the box. If you will, just for a few moments, indulge me by reading this chapter by considering that there may be many ways of thinking about our world. The information here could possibly challenge your core belief systems. I am not asking you to change your mind about anything. I don’t even ask you to believe anything I present there. All I ask is that you consider the possibilities. By thinking out of the box, we allow new ideas to blossom. This chapter on the different planes of existence is not just my idea, but shared by many philosophies, cultures, researchers, and religions. I happen to think it is important to consider when looking at the concept of spirit communication. As I looked for ways to describe the different layers of existence, I came across many cultural and religious understandings about this entire topic. There were many words to describe these levels, many differing ideas of what each level represented, and so there was no one definitive source to glean from. I have pulled the concepts together here for you in the clearest form I could. Each level has a simplified description. In explaining the various levels or planes of existence, I will start from what I believe to be “the beginning” as the first plane, and work down to what is known as the physical existence or seventh plane. The layers are chronological from Creator Source down to the physical level (lighter, higher energies being at the top, and heavier, lower energies at the bottom). This is opposite of what is normally presented, but it seems more logical to go from “start to finish”. I use the term self to express how spirit originally started from Creative Source, and has advanced from non-form potential into human physical form. The planes of existence have protective veils, distinguishing each one from the others. Each is also divided into degrees, systems and numerous sub-categories. I will not present details concerning the many systems and sub-categories here, since I want to keep this explanation simplified. • Subtle bodies: Portions of aura of self are created on each plane as subtle bodies. Each subtle body manifests as a form of conveyance when the desire for experience presents itself. They progressively combine to coexist with each other. • DNA Strands: Each subtle body is imprinted with unmanifested DNA strands, known as the “blueprint of life”. Each plane creates two strands of DNA. So by the time self prepares to manifest as humanity in each physical form, twelve strands have accumulated from the six higher planes (Celestial, Expressive, Causal, Mental, Emotional, and Etheric).